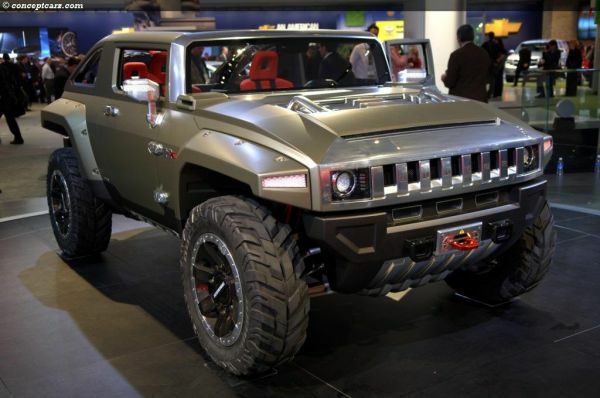 Hummer HX Concept is a vehicle designed by fresh minds. The three designers Min Young Kang, David Rojas, and Robert Jablonski were asked to give this SUV a new look and feel. 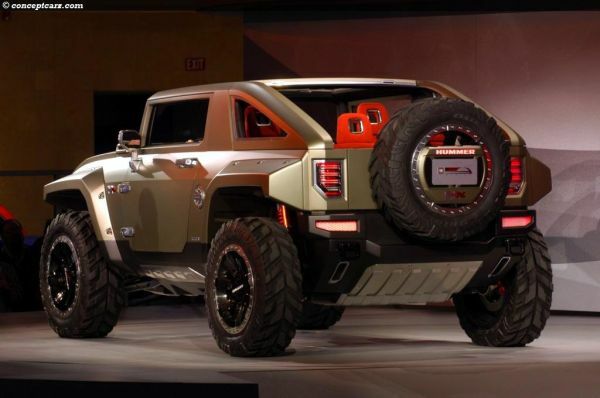 The three designers came up with designs, which when built would present Hummer HX Concept in a lighter and smaller form than the last one. The Hummer HX is aimed for the people aged between 20 and 30. This, SUV will have a new grille, which will add muscle to the front. The branding will be small but prominent. Overall, the front will have a geometrical look. Perhaps, the idea behind it is to make it look tough and rugged. There will also be a winch making this smaller but sturdy Hummer capable of pulling other cars or objects up to the ground level. The tires will be 35 inches. 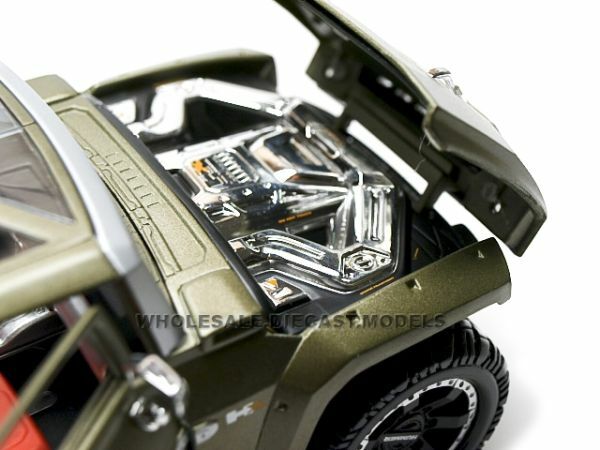 The Hummer HX will have underbody protection. Meaning, despite rough use, the underbody will not get exposed and stay safe. Moreover, such a protection is well known for making a car noiseless. The interior of the Hummer HX Concept will have a fantastic console with an LCD screen for vehicle and its on-road information. The designers have attempted to make the cabin look like airplane’s cockpit. Hence, the controls will look highly sophisticated. The seats will be enough spacious for 4 passengers with the simple design. Much thought has been put in making them lightweight. The Hummer HX will be equipped with a V-6 direct injection engine. Meaning, it should move noiselessly. Moreover, as the engine will use direct injection, it will not face the risk of getting hot and will last longer too. Performance wise, the engine will give great power output and be fuel efficient at the same time. Cadillac CTS is known to have such an engine and it gives 304hp with a torque of 273 lbs-feet. What is so special about Hummer HX? The design of the vehicle is fresh. As the three designers are just out of school, they have brought in innovation and a new concept. The exterior of Hummer HX has been made lightweight so that it could accelerate fast. Owners will have a variety of choices for its back – open back, slant back, wagon type, or square back. The fender flares can be dislodged, as they will be attached with fasteners. Therefore, in the case of any damage, you would be able to remove them with no effort.